As the sun is muffled by grey clouds and crisp cold winds there is no better place than home; tucked warmly in bed or snuggled on a couch listening to the rain pelter window panes and the wind rattle gates and whip branches, our home warms and protects us from the spitting fury of winter. Grateful for the privilege of a safe warm space, we feather our nests with all that is comfortable and enjoyable to make the most of the time spent indoors. 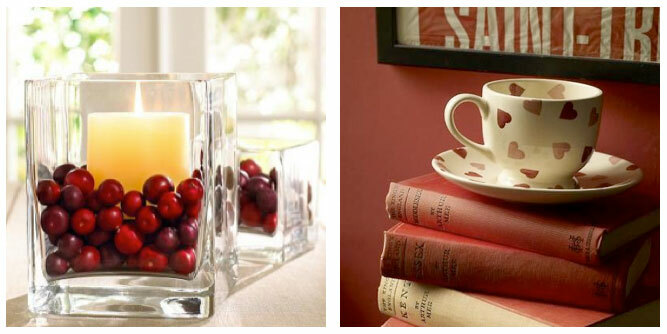 Few of us have the budget to reinvent our home with the changing of the seasons so here are some smart winter-wise décor tips that will appeal to the sense as we ready for the cold months. The power of colour to influence how we feel is not to be understated, by creating a warm colour palette or accessorising an existing theme with the right colours, you can evoke a sense of comfort and warmth. A neutral colour palette with touches of gold and brown are an earthy embrace that suggests steamy cups of coffee and hot chocolate. Bring the missed sunshine indoors with yellow, amber, pumpkin, burnt orange, reds and cinnamon. Rich jewel tones are a royal nod to palatial privilege and sensory indulgence. Combine these colours to create a clever cosy space that welcomes all coming in from the cold. Everything looks better in the right light, invest in window treatments that make the most of natural light in winter, spring, summer and autumn; that give you the flexibility to choose how much sunlight and fresh air you want to invite inside. Shutters and blinds offer the ideal versatility for all seasons. In winter, the shutters and blinds can be opened completely to make the most of late afternoon sun and as soon as the sun is swallowed by cold winter evenings, they are closed to capture the day’s warmth inside and keep the cold out. “Shutters and blinds do not require the same commitment to a décor theme as fabric window treatments do. 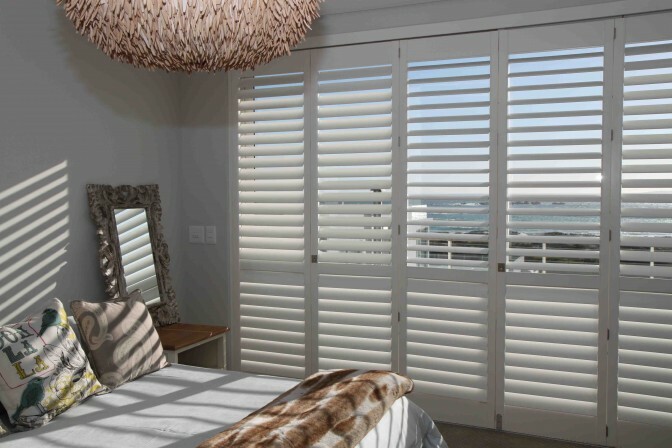 Shutters and blinds suit all kinds of décor styles from classic to contemporary and the various materials, styles and finishes available are timeless,” says Karina Palmer of AMERICAN shutters. How many times has a specific aroma had you mimicking a cartoon hound following his snout? The sweet vanilla smell of home baked cookies, the hearty fullness of steaming stew or the spicy headiness of exotic sandalwood, add to the sensory pleasure of a welcoming winter home. Use scented candles, incense, a brewing pot of coffee at the ready and home-cooking to dull the winter pain. Home-knitted blankets, faux fur throws, quilts and soft fluffy cushions, need we say more? 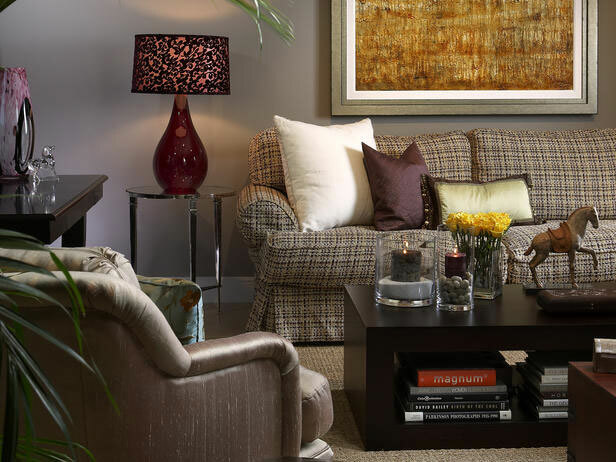 Creating winter-friendly décor is all about texture and layers. 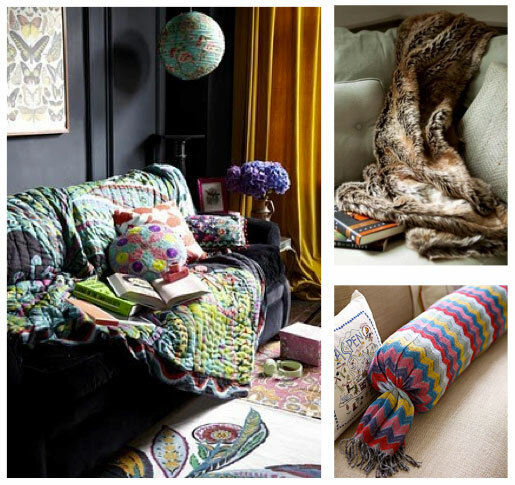 “Add throws, cushions and home knits to your existing decor theme to winter’ise it. Use the opportunity to show off family heirlooms knitted by mom or gran,” says Karina. Replace sleek cold modern accessories like stone sculptures with wood and rustic elements that tell stories. Wood has a natural warmth and the various woody tones add to an earthy palette. On a more practical level, consider energy-efficient ways to heat and insulate your home. Light the wood fire or spark the gas heater but only after you have insulated your home with ceiling insulation, closed up any gaps, ill-fitting windows and doors. “Wooden shutters and blinds are great insulators, trapping the cold air that exists inside glass windows due to heat thermal energy conduction i.e. the natural flow of thermal energy from cold temperature to a hot temperature,” says Karina Palmer. 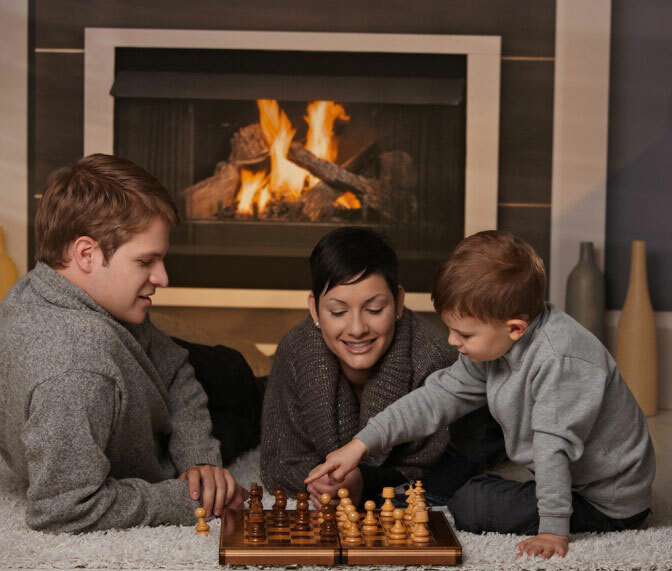 Winter is the perfect time to share stories and make conversation around a fire, or to enjoy a movie or listen to your favourite tunes with friends and family. Use the winter months to spend quality time with loved ones in a home that gives you all a warm hug!